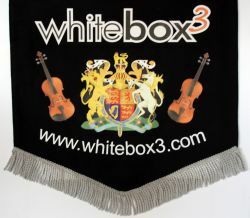 Our beautiful embroidered and printed music stand banners are produced to a very high standard in a range of colours, with your logo, crest or text - all to your exact specification. 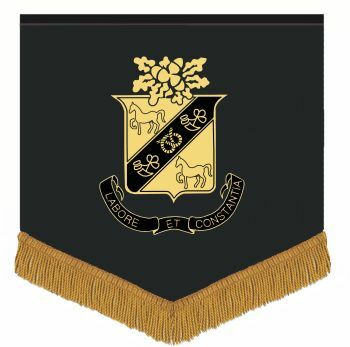 Our embroidered banners are generally priced at around £40.00 each, however, pricing is subject to sight of your proposed logo/lettering. 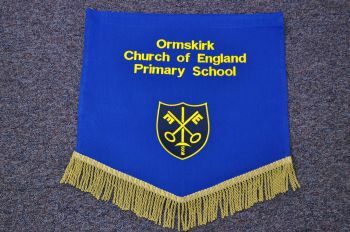 Banners come complete with a fringe along the bottom and fixing is generally by use of velcro straps (alternative fixings are available if preferred). Alternatively Banners can simply be screen printed with your logo at a fixed price of £35.00 each, regardless of design, number of colours and logo. Our screen printed banners are extremely hardwearing and can be rolled up and wiped clean without affecting the printing. A one-off charge will apply for all artwork digitisation. 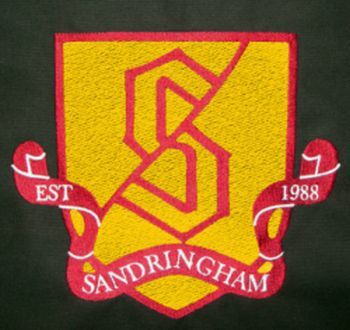 If you would like help with creating a logo or artwork for your banners, our design team will be pleased to help (pricing available on request). Banner Size: 450mm wide x 450mm high or 450mm wide x 500mm high (pointed as below, or flat edge if preferred). Other sizes availble on request. Please note, the above prices exclude delivery & VAT. 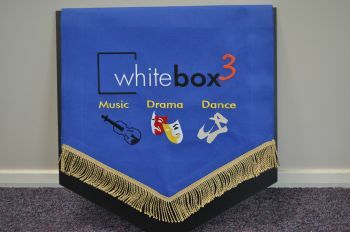 Printed banners (left) can be as ornate you like. Embroidered banners (right) are generally less detailed.